Do you ever get goosebumps thinking about the God we serve. My frinds and I were just playing Halo and an interesting topic came up. The topic was that God cares more about the inside of a man than the outside. And as I juggled thoughts of this in my head it began to take on a whole new meaning for me. Now the subject, God caring about inside, is taking about God's value of our actions being exceeded by His value of our motives, our intentions, our ambitions. I began to examine what this is all about. If I am your boss I generally don't care about why you're doing your job (we're speaking in generalities, I know.) My main concern is that you're doing what i told you to do, you're getting the job done. Sure, go bad mouth me under your breath, I really don't care as long as the job gets done. Now if I'm your wife (I know, just try to picture it) It's totally different. What you do for me is second to why you do it. Rob Bell gives a good illustration in his nooma video "Sunday" (http://www.nooma.com/). Rob's illustration goes something like this; you go to buy your wife some flowers and when she gets them she's overjoyed. Now as she's thanking you, you explain, "well you're my wife, it's my duty." Or "well I wasn't really thinking of you I just saw them, they were on sale, I figured you needed them." Does she even want the flowers anymore? No. It's the same with God. But let's look a little deeper. A relationship with a wife is something purly relational, based on a deep loving relationship. Your purpose in a marriage is loving your wife (and that entails alot don't get me wrong). If your motives don't line up with your purpose the things your actions produce are meaningless. We can ask "well if someone does something that's good what else matters? Arn't they, in doing good, doing what God asked aren't they 'getting the job done.'" If we ask that, then we've missed the point. The work of God isn't about getting a job done, it's the "ministry of reconcilliation" (2 cor 5:18). The reason the wife cares so much about the heart behind those flowers is because that action directly effects their relationship. The work we do directly effects our relationship with Him. We have a direct relationship with God. God cares about your motives because everything you do effects The relationship. See the the commands can't be separated from the one who gives them. Jesus said in John 14:15“If you love me, obey my commandments." obeying God's commands will be emty if your motive is not love, if it's not personal. Now check this out. What if our relationship with God is directly related to our relationship with people. If we are loving people and we separate loving Go and loving people, isn't it possible that our action is empty because the motive has nothing to do with intimacy with God? When I "love" people just to show love to God is that love at all? maybe loving God has more to do with a wholistic effect on lifestyle than it does with individual choices and moments. Maybe sincere love for God is impossible if we can't simply love people. Our relationships with people are in direct relationship with our relationship with God. If we are insincere with people we can't be sincere with God and vice versa. 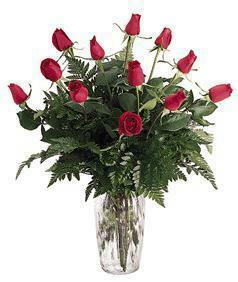 Give her flowers because you love her and in the same way obey God because you love Him. These two things depend on eachother. WOW!!! This is bizarre. I just got home from church, and Craig talked about basically the same things about love, and used roses as an example but in a different illustration. I am posting stuff on it later tonight or tomorrow. So check it out!!! And I thought the flowers were for me, hehehe. I still love you though!